17. August 2013 28. August 2013 von david w.
In einem Pressestatement hat die City Garden Group, vom US Department of Justice mit der Aufsicht über den Rückzahlungsprozess beauftragt, verlauten lassen, dass ehemalige Full Tilt Spieler zwischen dem 16. September und 15. November Ansprüche auf ihr Guthaben stellen können. Starting on September 16, 2013, GCG will email a Notice with instructions on how to submit a Petition for Remission online to all potentially eligible claimants identified by GCG utilizing data supplied by Full Tilt Poker („FTP“). The deadline to submit a Petition for Remission is November 15, 2013. Instructions concerning the filing of Petitions will be included in the Notice and will be posted on this website. Please continue to check this website for updates. Please note that the registration process for email notification is no longer available. 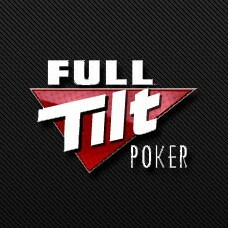 Für noch mehr Informationen könnt ihr die offizielle Seite www.fulltiltpokerclaims.com besuchen.